Our remanufactured replacement HP toner cartridge is designed and manufactured under strict ISO 9001 standards. 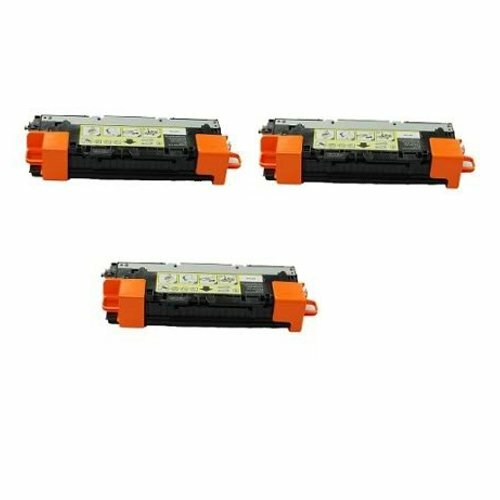 The quality of our products will also meet or exceed OEM toner cartridges, allowing you substantial savings and higher yield capability over high priced OEM products. This includes 1 Set of MAGENTA, YELLOW and CYAN Cartridges. Compatibilities: HP Color LaserJet: 3700, 3700n, 3700dn, 3700dt, Q2681A, Q2682A, Q2683A.